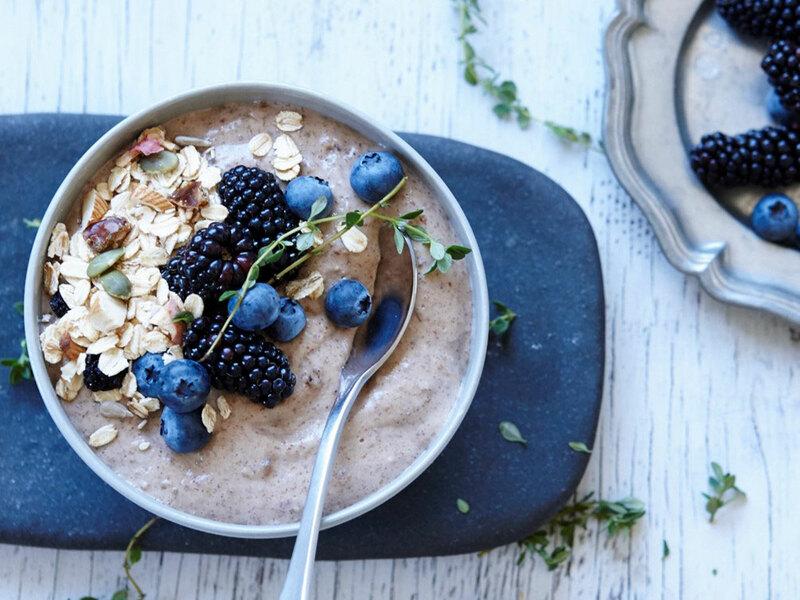 Blend the smoothie bowl ingredients together until smooth. 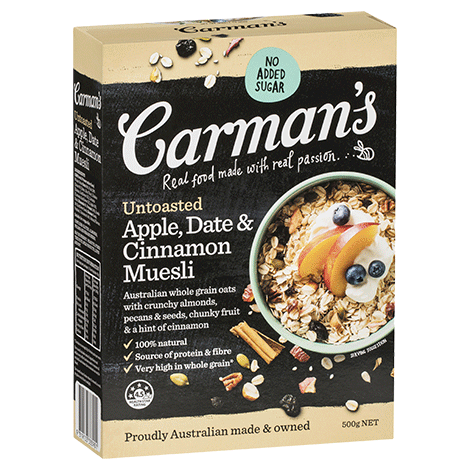 Serve in a bowl and top with Carman’s Untoasted Apple, Date & Cinnamon Muesli and fresh berries. To prove you’re not a robot, can you tell us what’s 6 + 6 ?